The UAE demonstrates the power of connections. The nation is home to two major hub airports, Dubai and Abu Dhabi. It also has nine major sea ports, including Jebel Ali, the ninth largest container port in the world. The UAE is also a nation built on the power of connections, between seven emirates, and people of 200 different nationalities who meet, work together and form friendships every day. Because of this, the nation is convinced of the ability of Expo 2020 Dubai to spark collaboration and partnership amongst the international community to seek collective solutions for a better future. Dubai is one of the world’s key points of connection. One-third of the global population lives within a four-hour flight. 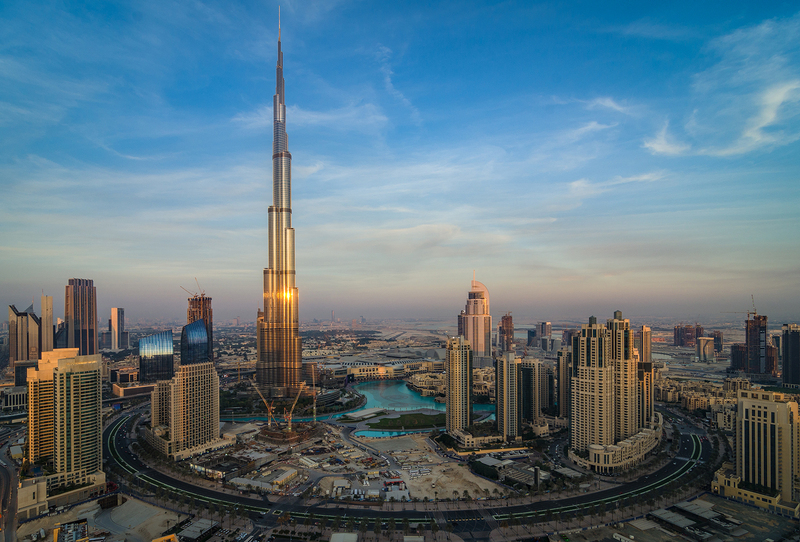 Dubai itself is consistently ranked as one of the world’s most globalised cities. The city has developed significantly over the last 40 years. Where once there was sand, now there is one of the world’s most modern urban landscapes, linked by multi-lane highways and a technologically advanced Metro and tram system. The city is a thriving centre for business. 70% of Fortune 500 companies have their regional base in Dubai and it regularly tops the World Bank’s annual report for Ease of Doing Business in the Arab world. The city is a magnet for international visitors, attracting 14.2 million travellers in 2015. They come to see Dubai’s unique sights, from the iconic Burj Khalifa – the world’s tallest building – to the magical dunes of the Arabian desert, and the restful beaches of the Palm Jumeirah – all of which offer the warm hospitality of the next World Expo host city.